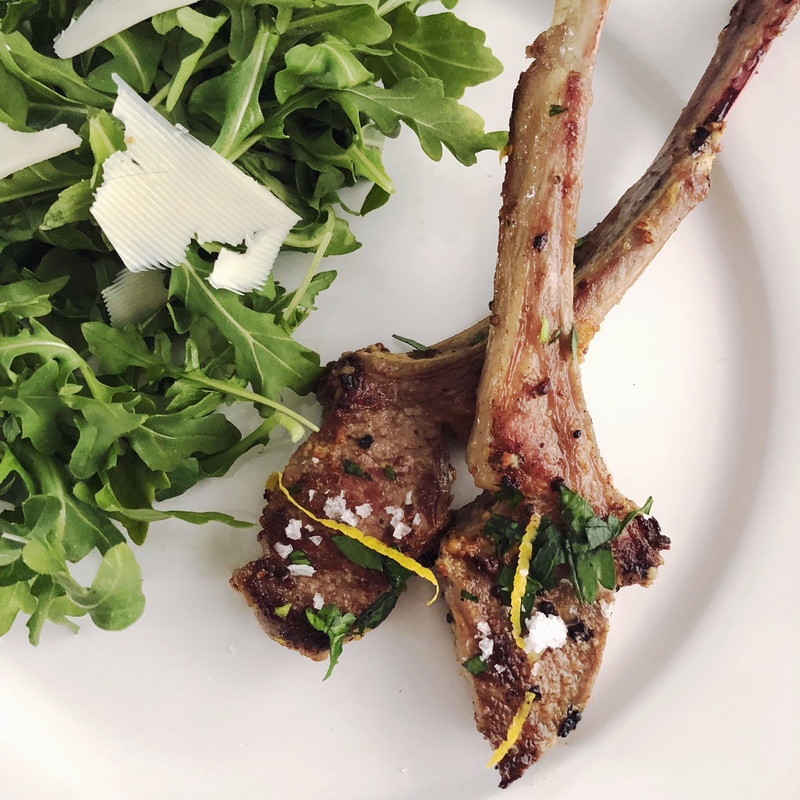 A few years ago, my mother made lamb lollipops for Christmas, which surprisingly was the first time I had ever had lamb! It was so delicious – so buttery and just the right size. I have to confess, I’m not a huge fan of ham, so when I started creating the Easter menu, I knew I was going to feature lamb. 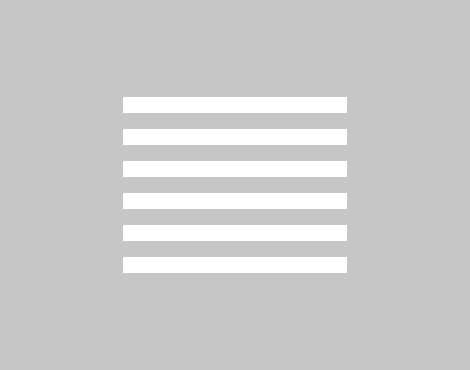 It really was the base for my menu and I built out each course from there. 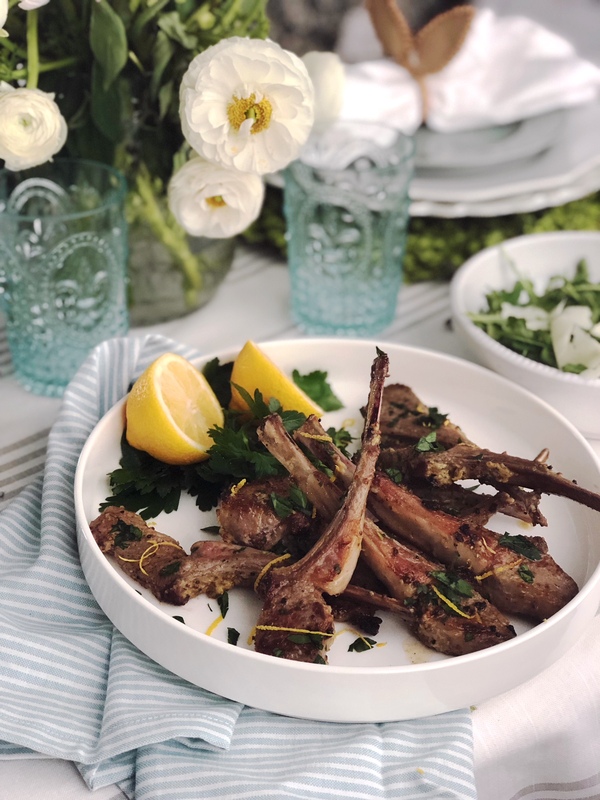 Doesn’t “lamb lollipops” sound so much fancier than “lamb chops?” It is, though, one in the same. We’re just going to roll with “lollipops” over here. 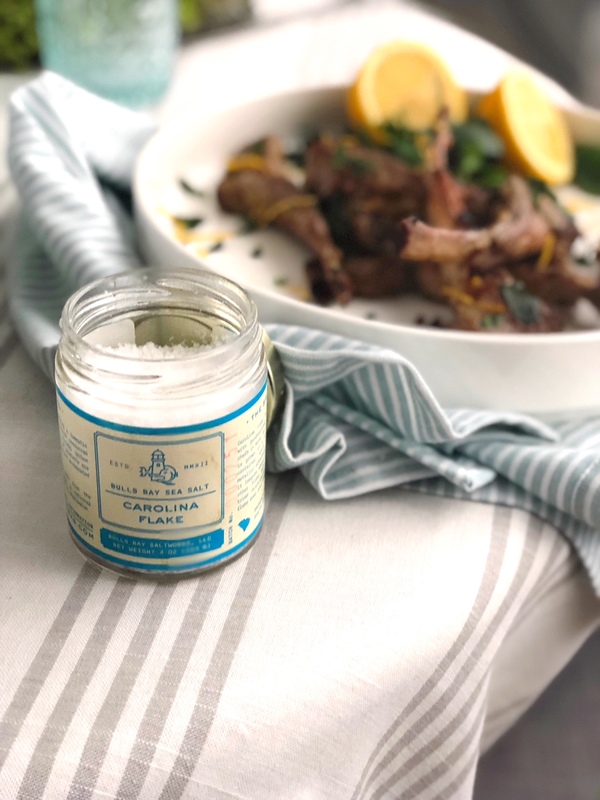 I finished the lamb with fresh parsley, lemon zest using a cocktail zester, and my favorite finishing salt, Bulls Bay from Charleston! Serve with our perfect Asparagus Tart, Arugula Salad and Lemon Loaf. Get inspired with our Easter Tablescape, here! 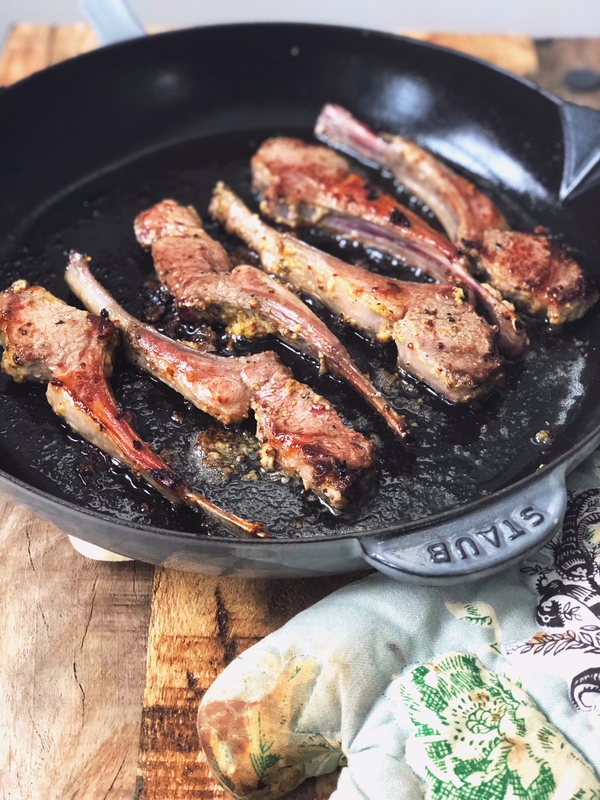 Cut rack of lamb to make individual lamb lollipops. Combine marinade ingredients and mix well. Pour over lamb and refrigerate for at least 2 hours. 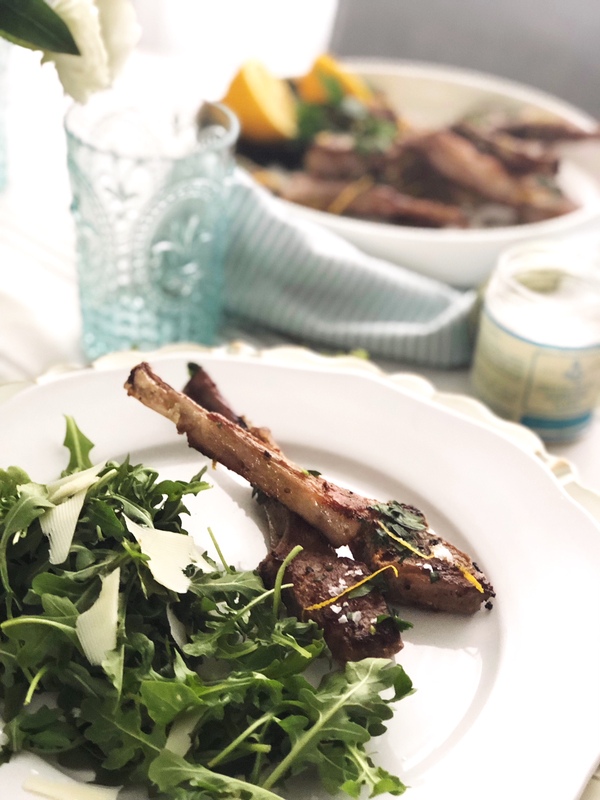 Take lamb out of fridge about 20-30 minutes to come to room temp. 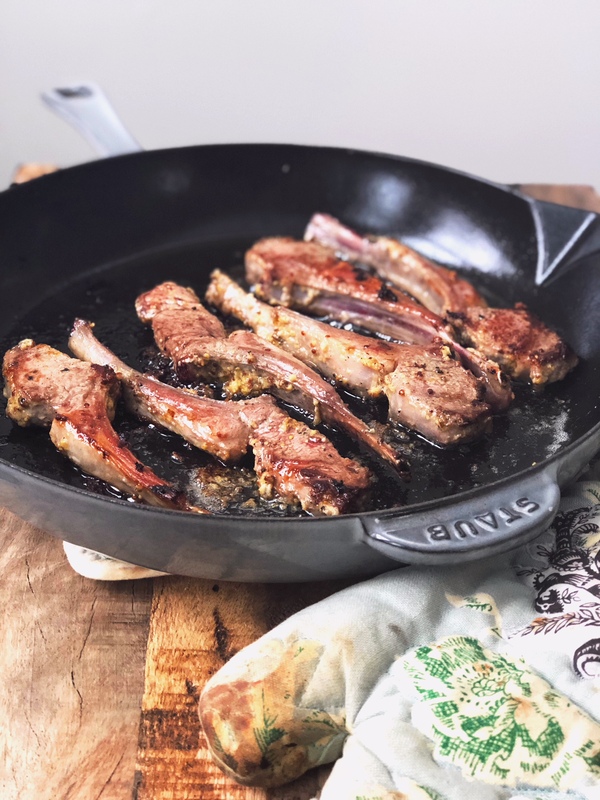 You do not want to put cold lamb on your skillet, they’ll just be tough! Heat skillet with enough butter to coat the pan. If your pan starts to smoke, turn the heat down. Let rest for 5 minutes, top with parsley, lemon zest and finishing salt if using, and enjoy!